As well as providing training and best practice guidelines for members, IGI membership affords members the following free benefits. The IGI has Mutual Recognition Agreements with the following bodies, allowing PGeos to be professionally recognised internationally. The European Federation of Geologists is the representative body for the geological profession in Europe with 21 national association members. IGI as an EFG Licensed Body handles EurGeol applications in Ireland. As a service to its members the IGI will notify members about geoscience-related employment opportunities. Please note that the IGI does not undertake any evaluation of the job specification or the employer. Please submit geoscience vacancies to info@igi.ie. AWN Consulting Ltd. is committed to delivering technical excellence to our clients. To meet client needs we are expanding our team of technical experts. With a staff of 30 we are currently seeking applications from suitably experienced consultants for the position of Environmental Consultant at our head office in Clonshaugh, Dublin. The position is to project manage a wide variety of licensing, EIAs, waste management, risk assessments and contaminated land projects. We are looking for an individual with strong technical and project management skills who also enjoys a broad range of work. · Qualification and experience in a specific technical area e.g. hydrology, chemistry, environmental engineering etc. · Membership/Chartership of a recognised Environmental Professional body such as IEMA, IGI, IAH, CIWEM etc. · Experienced in co-ordination of environmental monitoring programmes (water, effluent, discharge licence related) and preparation of periodic compliance reports. AWN Consulting offers a competitive salary plus a range of benefits including a contributory pension, discretionary company bonus, PHI & Life Insurance, up to 25 days holiday and a flexible working policy. Please email applications to careers.awn@awnconsulting.com. The IGI has partnered with Thompson Insurance to provide two dedicated insurance schemes for geoscientists. A Professional Indemnity insurance policy is available for individual IGI members in good standing. Please download the dedicated IGI insurance form to be completed and returned to shane.hennelly@nti.ie for a quotation. Please note this dedicated service is available to IGI members only. A group Public Liability insurance policy is available for geoscience bodies who are affiliated with the Irish Geoscience Network, to cover field trip activities. Please contact info@igi.ie for further details. The Irish Geoscience Network is an umbrella body bringing together Irish geoscience-related organisations. Administrated by the IGI, the Irish Geoscience Network meets annually to discuss synergies between organisations and cross-cutting issues (outreach, public perception, research collaborations, policy issues etc). 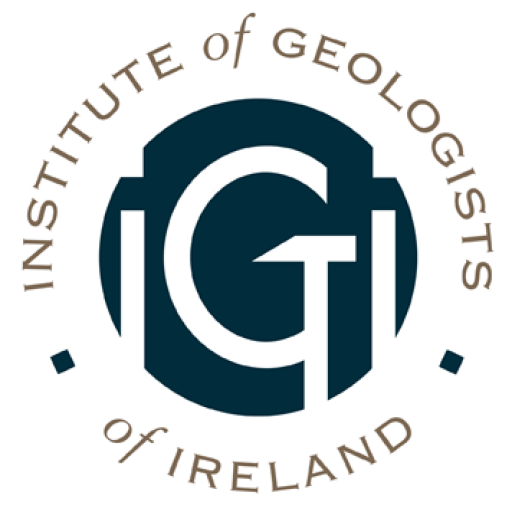 If you are involved in the administration of a geoscience-related organisation and would like to be part of the Irish Geoscience Network, please email info@igi.ie to be added to the IGN mailing list. The IGI runs a free, voluntary mentorship scheme for members. Research shows that mentoring helps both mentees and mentors – both groups have higher salaries, climb their career ladders faster and are more satisfied with their careers overall. 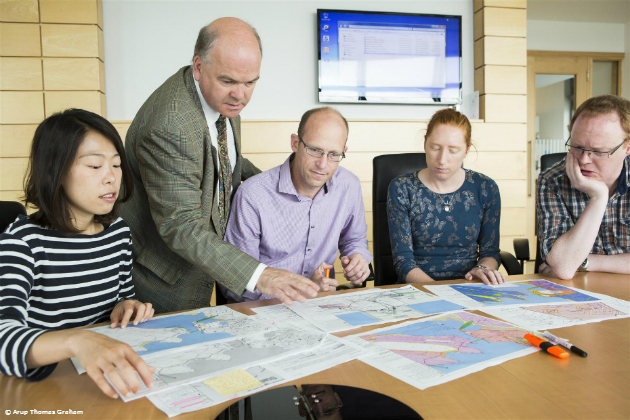 More specifically, IGI members stand to benefit from a Mentorship Scheme in order to prepare for chartership, develop Personal Career Plans within the IGI CPD framework and to manage career changes which many of us experience as geoscience professionals. To become a mentee please contact info@igi.ie requesting the mentor list. It will be the responsibility of prospective mentees to identify and contact a mentor. The IGI strongly recommends that you attend a mentoring workshop before entering into a mentorship pairing. The IGI runs mentoring workshops from time to time. To enquire about training, please contact info@igi.ie. Research has shown that if both mentors and mentees have some training in mentoring and coaching skills then the risk of failed relationships is greatly reduced and outcomes are much more successful. As a mentee you will have guidance of a mentor as a source of knowledge and encouragement in planning your professional journey. As a mentor you will help mentees greatly enhance their career potential. Technical knowledge transfer is a small and relatively unimportant aspect of mentoring. The mentor’s role is to facilitate the mentee’s thinking and to support self-development. Mentoring relationships commonly operate a structure which begins with an initial scoping session without commitment. Given agreement, a short series of mentoring sessions, each one of pre-determined length follows. The series is finalised with a review. It may or may not be followed by agreement to another series of sessions and so on. There is no formal reporting requirement for the Mentorship Scheme, however, participation in scheme will be eligible for a maximum of 10 hours CPD per annum. These hours are to be recorded in the CPD worksheet in the ‘Participation’ section for mentors (max. 5 hours) and in the ‘Informal activity’ section for mentees (max. 5 hours). At present in order to access advice from a Member of the Law Library it is necessary to be referred by a solicitor. However, the Law Library operates a scheme where Members of certain professional bodies may have Direct Professional Access to barristers. The IGI is one of these professional bodies with Direct Professional Access to the services offered by Members of the Law Library. There are a number of conditions, as follows: 1. This scheme is for ADVICE only – no litigation work. 2. All agreed fees for the advice provided must be paid to the relevant Member of the Law Library. 3. The professional body (IGI) has a code of ethics and conduct.